While in Sorrento take a stroll along Via Pietà, a quiet street that runs parallel with Corso Italia. Via Pietà runs along the line of a decumanus (part of the Roman town plan) that appears on ancient maps. 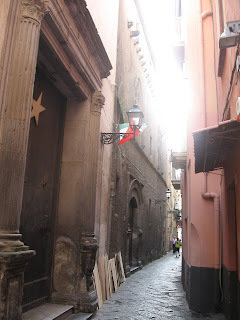 It is perhaps one of the most impressive of Sorrento’s historic streets, connecting Piazza Tasso with the bell tower of Sorrento’s Duomo. Via Pietà used to be an important street in Sorrento before the construction of Corso Italia. 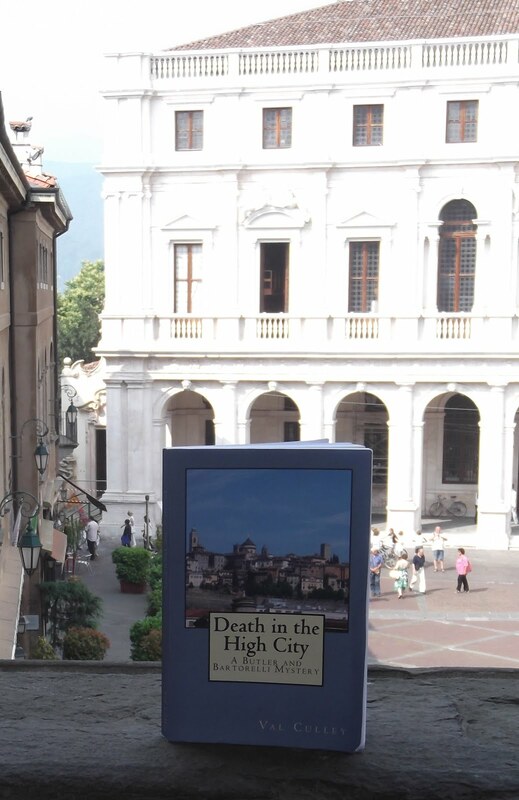 It runs alongside the left side of the Corso as you walk in the direction of Via del Capo. One of the most important buildings is Palazzo Veniero, which is an example of the late Byzantine and Arab architecture popular in southern Italy in the 13th and 14th centuries. 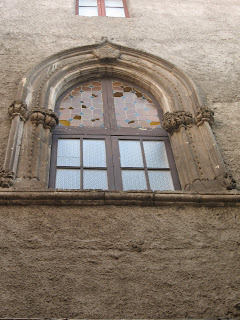 You can still make out the decorative patterns made of contrasting stone beneath the arch shaped windows of the palace. 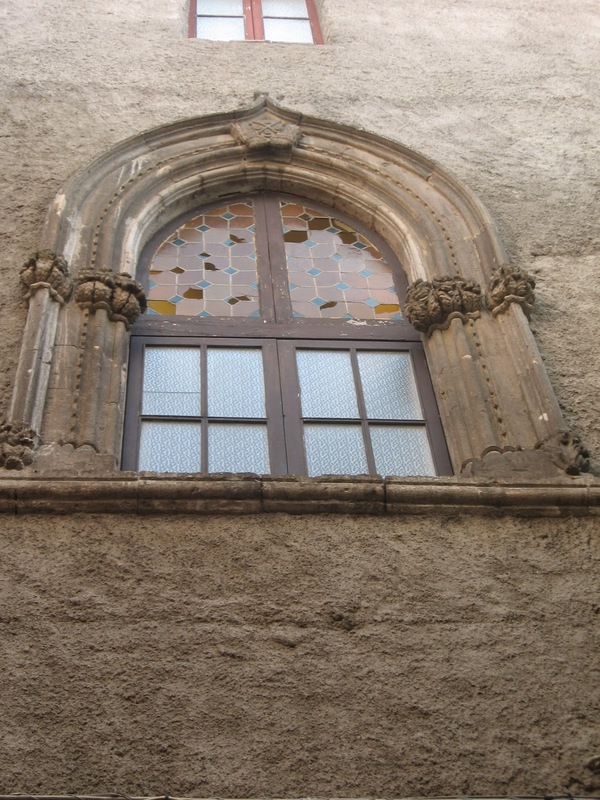 Nearby, Palazzo Correale, with its beautiful mullioned windows, was built at about the same time as a residence for the locally important Correale family. It was converted into the orphanage of Santa Maria della Pietà in the 17th century. Down a side turning to the left, in Vico Galantario, look out for a Loggia that is a rare example of Aragonese architecture showing he influence of Tuscan artisans working in Naples at the time.